This little keepsake notebook measures 3.5″x5.5″ and is perfect for recording baby milestones, gifts, names, babysitter notes and more. 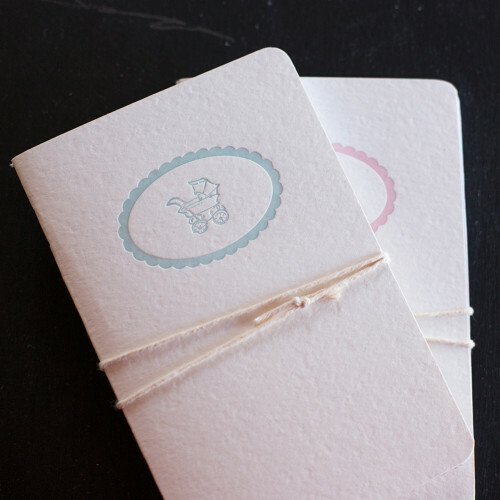 Each saddle-stitched journal is assembled by hand, featuring a textured, cover stock, letterpress printed with a Pixie carriage motif in either blush pink or blue. 36 unlined white pages. Our new, luxurious Horse Head note journals are made from real cherry wood paper. 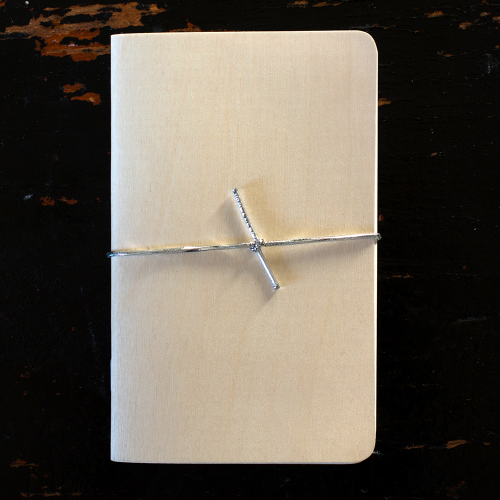 Our pocket wooden note journal is the perfect gift for anyone who loves an elegant, unusual gift. Each journal cover is created from cherry wood veneer, sliced so thin it is almost translucent, then backed with heavy white paper stock. 36 unlined pages on which to keep your notes, thoughts, and lists. Our beautiful new Birch Wood paper note journals are the gift for a cook or foodie who loves a little luxury and thoughtfulness in their handcrafted gifts. 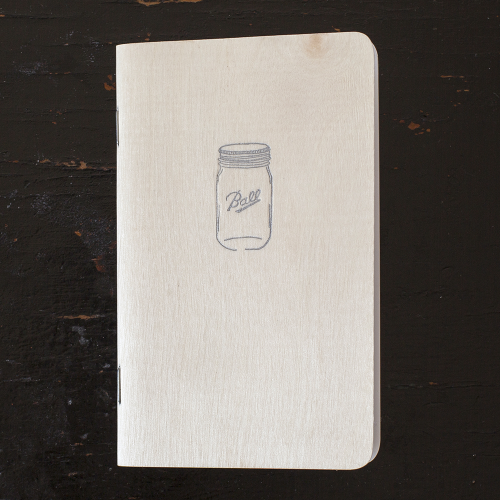 Our Whisk Journal is hand crafted in the USA crafted from real birch wood set on heavy paper stock. It is as unusual as it is a thoughtful gift for anyone who loves to spend time in the kitchen cooking or baking. 36 unlined pages on which to keep notes, thoughts, and lists. 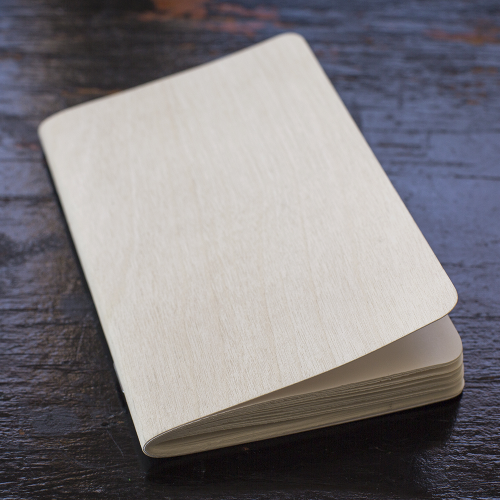 Our new, luxurious note journals are made from real birch wood paper. Our pocket wooden note journal is the perfect gift for anyone who loves an elegant, unusual gift. Each journal cover is created from birch wood veneer, sliced so thin it is almost translucent, then backed with heavy white paper stock. 36 unlined pages on which to keep your notes, thoughts, and lists. 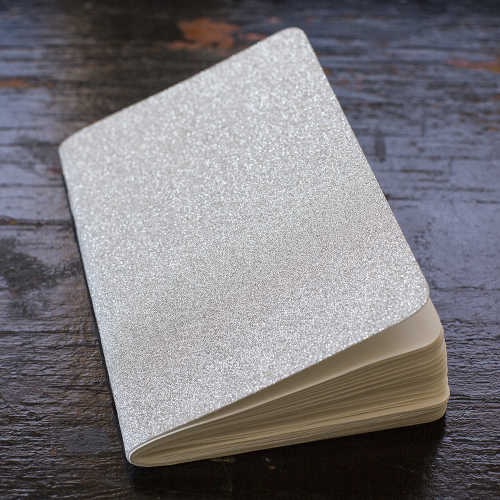 Our new, luxurious sparkle note journals are had crafted in the USA of superior quality. The perfect gift for anyone who loves an elegant, unusual gift or a bride who might like a little sparkle on which to keep her note. Fits perfectly in the pocket of a handbag. 36 unlined pages on which to keep your notes, thoughts, and lists. 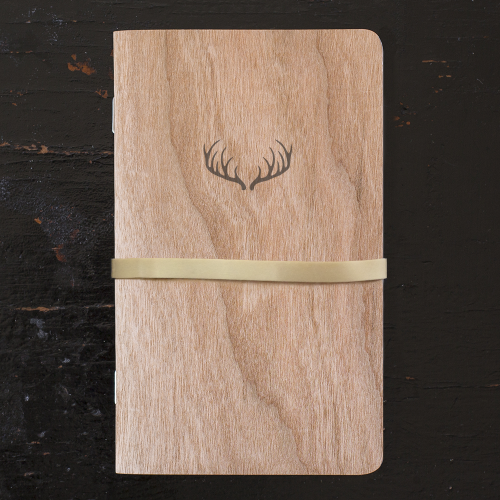 Our new, luxurious antler note journals are made from real cherry wood paper. 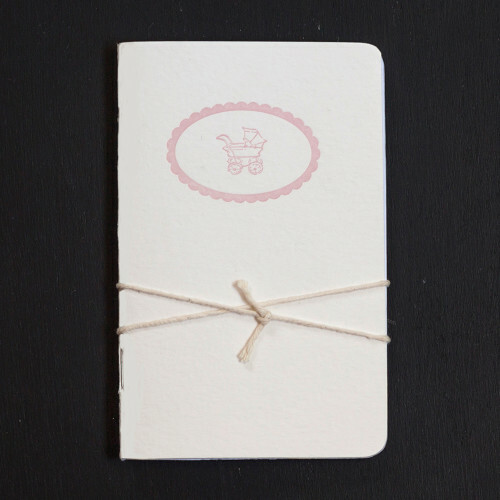 Our pocket wooden note journal is the perfect gift for anyone who loves an elegant, usual gift. Each journal cover is created from cherry wood veneer, sliced so thin it is almost translucent, then backed with heavy white paper stock. 36 unlined pages on which to keep your notes, thoughts, and lists. Our beautiful new Birch Wood paper note journals are the gift for a cook who loves a little luxury and thoughtfulness in their handcrafted gifts. 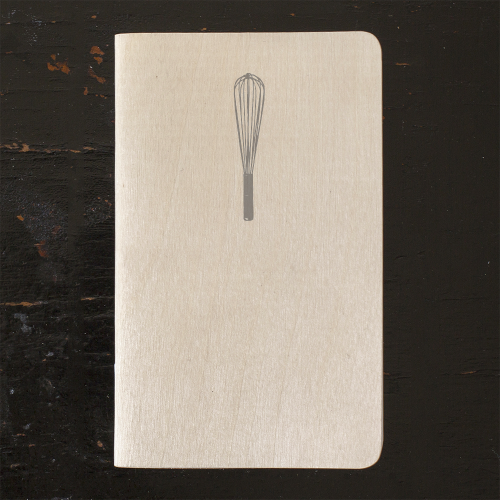 Our Whisk Journal is crafted from real birch wood set on heavy paper stock. It is as unusual as it is a thoughtful gift for anyone who loves to spend time in the kitchen cooking or baking. 36 unlined pages on which to keep notes, thoughts, and lists. 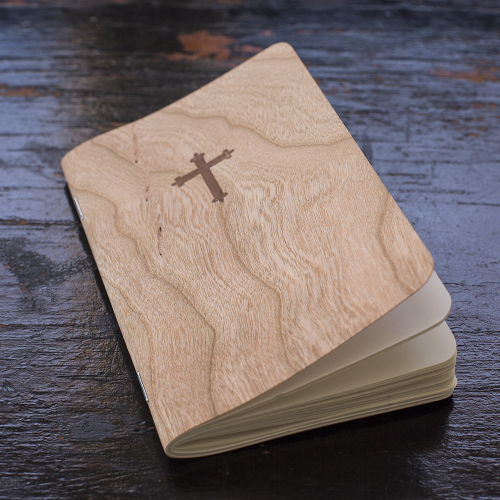 Our new, luxurious cross journals are made from real cherry wood paper. 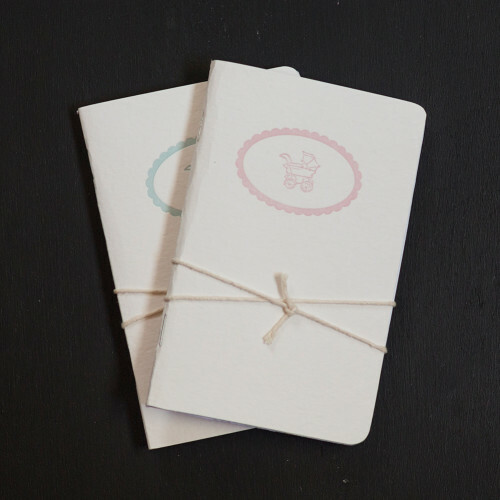 Our pocket wooden note journal is the perfect gift for anyone who loves an elegant, usual gift. Each journal cover is created from cherry wood veneer, sliced so thin it is almost translucent, then backed with heavy white paper stock. 36 unlined pages on which to keep your notes, thoughts, and lists.